Looks like you are currently in United States but have requested a page in the Costa Rica site. Would you like to change to the Costa Rica site? Corrosive work relationships are like black holes that swallow upenergy that people need to do their jobs. In contrast, high-qualityrelationships generate and sustain energy, equipping people to dowork and do it well. Grounded in solid research, this book uses energy as ameasurement to describe the power of positive and negativeconnections in people's experience at work. 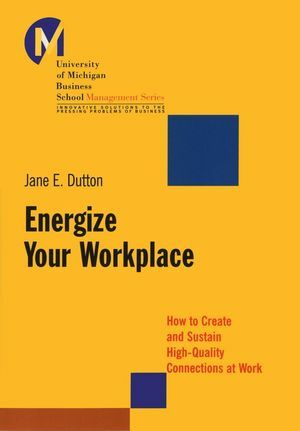 Author Jane Duttonprovides three pathways for turning negative connections intopositive ones that create and sustain employee resilience andflexibility, facilitate the speed and quality of learning, andbuild individual commitment and cooperation. Through compelling and illustrative stories, Energize YourWorkplace offers managers, executives, and human resourceprofessionals the resources they need to build high-qualityconnections in the workplace. Jane E. Dutton is the William Russell Kelly Professor ofBusiness Administration at The University of Michigan. 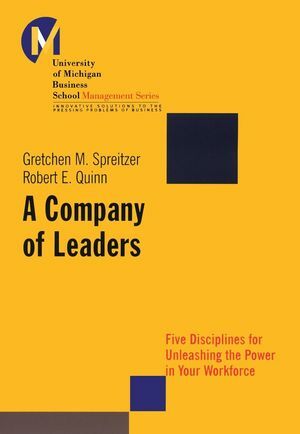 She is theauthor of three books and numerous articles in the area ofrelational work in organizations, which have appeared in Academyof Management Review, Strategic Thinking, and AdministrativeScience Quarterly, among others. Dutton's article, "Leading inTimes of Trauma," appeared in the January 2002 issue of HarvardBusiness Review. 1. Creating Energy Through High-Quality Connections. 5. Dealing with Corrosive Connections. 6. Building High-Quality Connections in Your Organization.